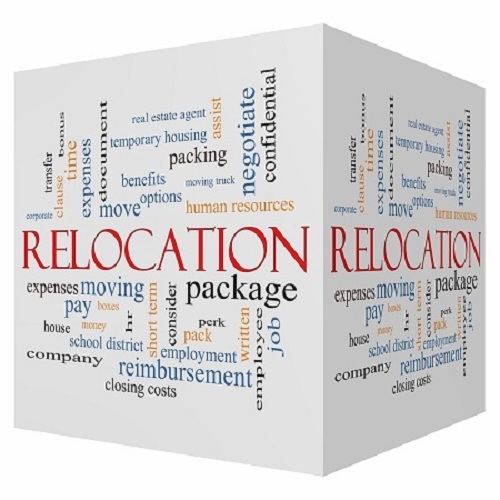 Best practices for relocating people and employees is to consider engaging a professional relocation specialist with experience in business relocation. This may include a general personnel or high level management recruiter to assist employees who will not be relocating to the new site to find employment. Employees who choose not to relocate may also incur certain legal compliance regarding termination of employment, employee benefit rollovers like 401K and traditional pensions. Each state has different employee and labor relations requirements, as well as those that exist under federal law. Businesses that have in-house regulatory affairs professionals have an advantage in determining their obligations to employees during relocation. Some businesses also offer personnel recruitment assistance to spouses who may be affected by the relocation of the company. This usually occurs when the company moves out of state or the relocation is in another country. Business owners should be fully informed of their legal rights regarding retaining employees, salaries and wages and hiring of new employees at a new location. This includes any employee contracts regarding hiring and/or termination. Management should review all contracts, especially those regarding proprietary and non-disclosure agreements between the business and employees. This includes PIAs (Proprietary Information Agreements) and SAs (Secrecy Agreements). The legal department of the business should take the time to review these and determine their impact on relocation. Best practices for relocating employees is to consider the ramifications from a personnel and human resources perspective. The impetus to relocate is often aligned with a more beneficial business tax base and pool of highly skilled employees who do not require costly training. Part of any comprehensive relocation plan is to keep all employees informed of relocation issues on a daily basis. Often, employees can be an excellent source of information that might otherwise be omitted in the relocation plan. Collectively, management and employee input during the relocation planning stages is a valuable tool that may offset many unnecessary expenses. Small businesses tend to allow employees to assist with many facets of the relocation. It’s always a good idea to begin actual relocation projects by getting rid of unnecessary furnishings, equipment, files and storage cabinets that are no longer of use. These add to the cost of relocation due to their size and weight and the moving company’s ability to provide adequate space in a moving van. Best practices for relocation include a solid basis for the relocation that can be freely and easily communicated to all employees. When employees know why they are being relocated, they understand more easily the need for this business decision. For information on business premises and office availability across the US click here. This entry was posted on Monday, August 17th, 2015 at 4:20 pm	and is filed under Companies, Company Relocation, Employee Rights, Employment and Worklife, Employment Regulations. You can follow any responses to this entry through the RSS 2.0 feed. You can leave a response, or trackback from your own site.